The features that are required for a monitor to attain ‘gaming monitor’ status will undoubtedly vary depending on who is asked. Broadly speaking, the characteristics of a gaming monitor that matter the most are a low response time and high refresh rate while colour accuracy and resolution take a back seat. The demand for fast panels inside gaming monitors has led to twisted nematic (TN) panels remaining remarkably popular despite IPS and IGZO panels offering more vibrant and colour-accurate experiences. 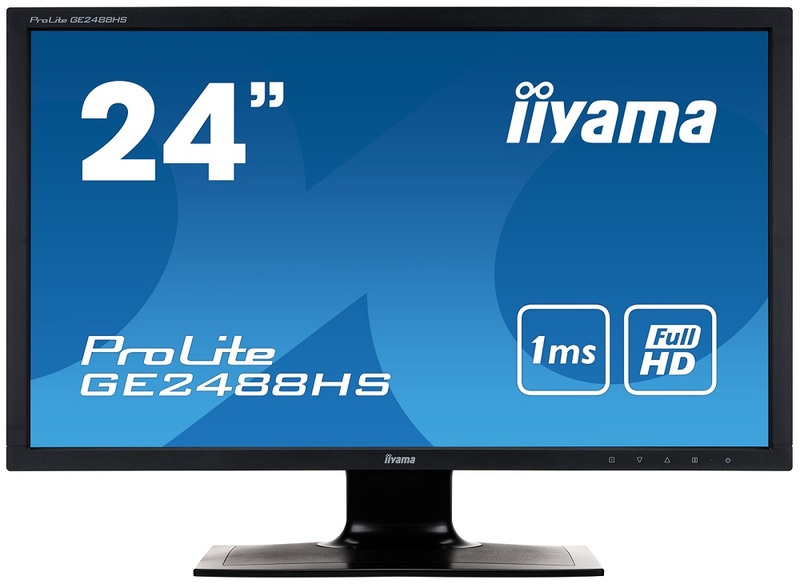 Today’s review item, the Iiyama ProLite GE2488HS, claims to be a monitor for ‘Pro Gamers’ thanks to its headline 1ms response time. That aside, the rest of the specifications are run-of-the-mill for a 24in monitor; a 1,920 x 1,080 resolution, a TN panel-based design, 60Hz refresh rate and a competitive price point. The ProLite GE2488HS has a rather plain design; an all-black plastic enclosure with moderately sized bezels of 14mm. The stand offers nothing extraordinary either, only tilt is supported to change the vertical viewing angles. 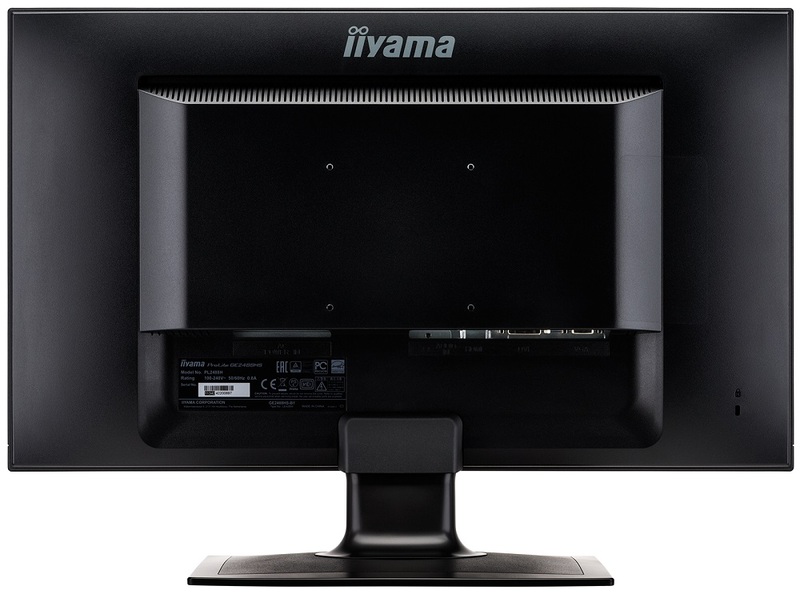 Iiyama do, however, offer 100 x 100mm VESA support which partially compensates for the lack of stand adjustment options. The power supply unit for the monitor comes integrated into the rear-housing which explains the chunky-width of the GE2488HS at the top. This means you’ll only need a standard kettle lead to get up and running, and the extra weight from the power supply gives the monitor a bit more stability too. Connectivity appropriately reflects this monitor’s resolution and price point, of the three ways to affordably display 1080p; DVI, HDMI and VGA, this monitor has all three. 3.5mm audio-in and -out ports are provided for flexible audio configurations, though, the dual 1-watt stereo speakers are lacking in volume even if the sound quality is reasonable for everyday usage.